Meet Me at Tampa WordCamp 2014 – Where Did My Brain Go? I volunteered to answer WordPress questions at WordCamp Tampa 2014 on Sunday October 5, from 3:50 – 4:40 P.M.
WordCamp is a gathering of WordPress users and developers. The first WordCamp was held in 2006. Tampa WordCamp 2014 includes presentations by WordPress experts on publishing, marketing and development. I plan to attend a WordPress Performance Workshop led by Mark Jaquith, a Lead Developer for WordPress. I will be answering questions in the “Happiness Bar,” after Mr. Jacquith’s workshop. I started with a forgotten book, which introduced me to posts, pages, categories and themes. Themes taught me how to create and load templates, to change the design of individual pages. I wanted to write a plugin, because I was frustrated that WordPress did not add a description and keywords to the headers of my posts and pages. I learned by trial and error, until I discovered two helpful resources. WordPress displays documents through a sequence of actions. Programmers change output by amending actions. Professor Brown created a comprehensive list of WordPress actions. Each action is linked to source code. WordPress Codex includes an incomplete action reference. My example, “edit_form_advanced” is not documented. Eclipse PDT is an IDE for developing software with PHP. Eclipse PDT helped me understand WordPress, and create better software. WordPress code is well documented using phpDocumentor. Eclipse understands the phpDocumentor systems, providing an explanation of WordPress classes and functions. Eclipse lets me trace through functions, and saves versions of my files in a Git respository. Git is a revision control system. Git manages versions of source code, documents, etc. Every programmer should use a revision control system. Sorry, I cannot offer an alternative development system, if you do not like Eclipse. 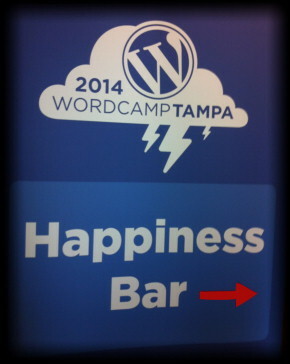 Ask me other WordPress questions on Sunday at Tampa WordCamp 2014. Meet me at the Happiness Bar from 3:50-4:40 PM. Hope to see you!